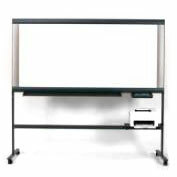 GBC South Australia offers high quality electronic white boards, which will save you both time and money and improve your communication and presentations. Capture meeting information directly to a PC or Mac. 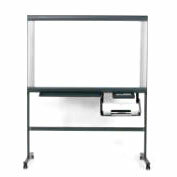 Quartet is a multi-mode interactive whiteboard ideal for both the business or education sectors. Fast printing in Black & White only on plain paper (printer included). Ideal for information sharing & brainstorming. Save simply & directly into USB Memory Card through built-in USB port. High resolution screen & printing through a unique Digital colour imaging process. Compatabile with Black & White laser printer. Capture meeting information directly to a PC or Mac. 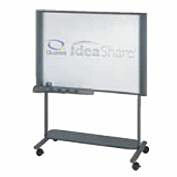 IdeaShare is a multi-mode interactive whiteboard ideal for both the business or education sectors. Save Whiteboard contents to a PC or Mac. Create colourful engaging presentations using a data projector. Optional Stands available to suit.